Partners have access to the BlackGEM Array portal. You can also request access here. BlackGEM is a wide-field telescope array dedicated to measure the optical emission from pairs of merging neutron stars and black holes. BlackGEM will be triggered by the Advanced LIGO & Virgo gravitational wave detectors. BlackGEM will be operational by December 2018. The prototype system MeerLICHT was finished in The Netherlands in March 2017 and is now installed and operational at the SAAO Sutherland site in South Africa. 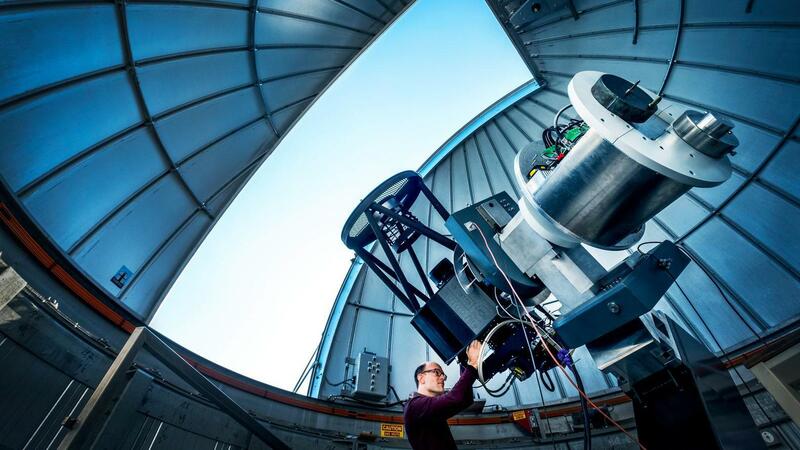 The BlackGEM telescope will, for the first time ever, construct a multicolored movie of the dynamic and variable Southern skies!BlackGEM will start with 3 telescopes of 65cm diameter, located at ESO La Silla, Chile. Each telescope will be equipped with a 110 Mpix camera, consisting of a single 10.5k x 10.5k CCD, and covering 2.7 square degrees in one go, at 0.56 ”/pix.